The iPhone 6 is coming, and although we don’t know precisely when it’ll arrive, the latest reports suggest that its announcement will occur on September 9th. With this in mind, many will be making a decision as to whether it’s worth the money, and with so many new features said to be in the offing, would-be purchasers will be weighing up all of the different perks. Here, we discuss the numerous enhancements that Apple will purportedly be making across the board, and ask you which you’re looking forward to the most. For months now, it has been reckoned that the iPhone 6 will include a new rear shell, in-keeping with the appearance of the iPad line-up. It’s certainly a departure from the current form factor, and although we’ll be reserving judgment until we’ve seen the thing in the flesh, it does look a slicker, more accomplished finish. Critics of the iPhone have constantly pointed to the display, which is comparatively meager when pitted up against the numerous Android devices strewn across the smartphone market. In a break from convention, Apple is expected to roll out two iPhone models, one sporting a 4.7-inch display and a further option including a mammoth 5.5-inch panel. Apple always seeks to improve the battery life of its prized asset, even though it’s still widely perceived as a problem, and with reports suggesting that the 4.7-inch iPhone 6 may pack a 2,100mAh battery, we could be in for some significant enhancements. Of course, what Apple does with the inner workings of iOS 8 and the next-gen processor will obviously play a pivotal role, but with better retention, users will be able to enjoy their handsets for longer periods of time. 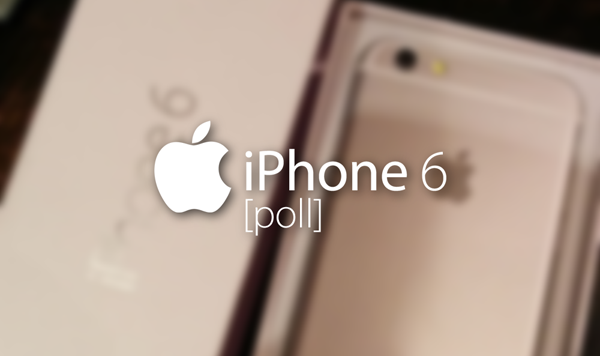 The iPhone 6 will include an Apple A8 processor, which is said to be a dual-core offering pushing above 2.0GHz per core. It’ll still offer 64-bit architecture and an improved motion coprocessor, and allied to the other tweaks like NFC, 802.11ac Wi-Fi etc. made under the hood, should equate to a slicker, more responsive overall performance. If Apple takes some stick with regards to the battery or display of the iPhone, the camera is always consistently great, and once again, the iPhone 6 is expected to push the boundaries. We’ve heard all manner of rumors, from OIS to a 16-megapixel sensor, but whatever the case, we expect it to be noticeably better than the rear-facing shooter of the iPhone 5s. With improved Touch ID, iOS 8 and a string of other improvements in the offing, you may have a completely different reason for picking up the iPhone 6. Whatever the case, be sure to cast your vote, and leave us your take on the upcoming device via the comments section below. Find MyIphone feature to be automatic and cannot be turned off by thieves. I had the same issue, found out it was the case I was using. Try removing both phones from the cases and set them side by side. I hope they bump up the storage memory too. Im tired of paying so much for only 16gb(which turns out to be around 14gb anyways). Apple should start iphones at least at 32gb.